Category: Yoga and Meditation, eBooks Tags: get more from meditation, improve your meditation, meditation, mindfulness, yoga. Only those who enjoy meditation will do it regularly and experience many of its life-enhancing benefits, from an increased sense of inner calm to a feeling of deep joy in everyday life. 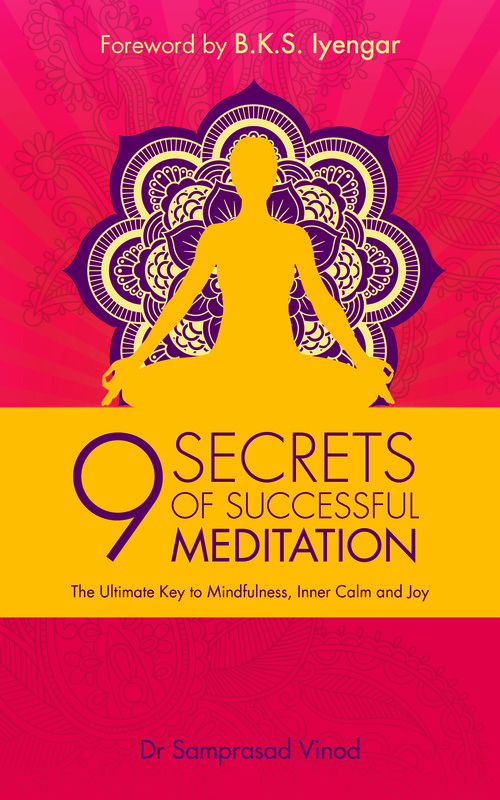 In this book, Yogi Dr Samprasad Vinod uses his “9 secrets” approach to guide you in how to really embrace and get the most from a steady practice. Yogi Dr Samprasad Vinod MD, PhD, DSc has taught yoga and meditation for over 36 years. He has written many books, articles and research papers, and he regularly appears on radio and television. He is on the Advisory Board of Kaivalyadhama Yoga Institute, India, and is Patron Member of the Yoga Fellowship of Northern Ireland, Yoga Therapy Ireland, and Yoga for Health and Education Trust, UK. He has received the FIE Foundation Award for outstanding contributions to the field of yoga and the Vijayshri Award, also given to Mother Teresa.